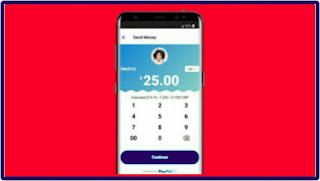 All social media are one way or the other adding new features to their apps just yesterday we talked a out Facebook developing video chat device and right now it all about skype as you can now send PayPal money using Skype Mobile App from Android or iOS device. Skype and PayPal announced the integration of their respective services today. PayPal is a website which makes it safer, easy to pay online, make transaction, send money and accept payments while Skype allows you to make video and audio calls, exchange chats and many others. These two companies has successfully merge their services and the feature is currently available in 22 countries: Estonia, Finland, France, Germany, US, UK, Portugal, San Marino, Austria, Belgium, Canada, Spain, Cyprus, Greece, Ireland, Italy, Latvia, Luxembourg, Malta, Slovakia, Slovenia and the Netherlands. Meanwhile, if you are in any of those countries listed above, you can use this feature in your new version of Skype straight inside the messaging app. While you are in conversation with a person, select the Find option at the top navigation bar and choose Send money»choose amount of money and confirm the payment. All social media are one way or the other adding new features to their apps just yesterday we talked a out Facebook developing video chat device and right now it all about skype as you can now send PayPal money using Skype mobile app from Android or iOS device.